AmeriPlan: Blog Articles Archives - Our Recent Blog Postings About Our Products, Discounts And Services. His “teeth” were false and had been hand-carved from hippopotamus ivory and cow’s teeth, then fastened to his mouth with a set of metal springs. 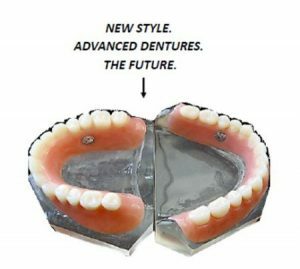 Dentures have, of course, come a long way since then. And new research promises access soon to something far more advanced than hippopotamus choppers — real human teeth, grown in laboratory dishes. Scientists also hope that by locating the right biological triggers, people may one day be able to grow several sets of teeth instead of just two — much like the way sharks, rodents or stingrays grow several generations of teeth to replace worn out or rotted ones. MacDougall has managed to grow the real thing, or at least parts of it, in her laboratories at the University of Texas. She and her students first dissected tissues borrowed from extracted wisdom teeth. Then they added extra genes to the tissue cells that make up the tooth’s outer shell, enamel and its inner hard surface, dentin so the cells would continue to replicate in culture. After nurturing these cells in moist conditions, the team soon had human tooth parts growing in culture. “We have little factories that make the natural enamel and dentin for us in a dish,” she says. Unlike most bones in the human body, tooth enamel is made up of cells that die off as the tooth forms. That’s why when enamel tissue rots, dentists replace it with fillings. MacDougall says new filling materials such as amalgam and plastics are often tested first on lung cell tissues since these cells reproduce well in culture. She hopes developers can soon test new filling materials in lab-grown tooth tissues. And if all goes according to plan, filling tests would become obsolete since dentists will be able to grow real tooth enamel fillings in the lab. That prospect, MacDougall says, is at least a decade away. 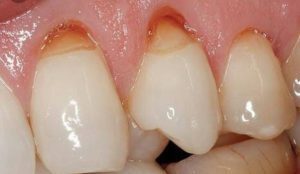 Even farther away — about 20 years — is the prospect of triggering cells still in the mouth to regrow teeth. To do that, scientists must first find the genes and proteins that regulate the tooth-growing process. As Harvard University geneticist, Richard Maas points out, mice provide a great tool for finding those genes. Particularly, strains of mice in which a single gene has been deleted — known as knock-out mice — have proved fruitful for finding tooth-growing triggers. Maas was able to confirm that a natural substance known as BMP4 helps spur the growth of teeth in mammals, by inserting it into the jaws of chick embryos. There are actually no such thing as hen’s teeth — but the chicks with BMP4 developed the beginning buds of teeth. Rena D’Souza, an associate professor of orthodontics at the University of Texas in Houston, has also scouted out tooth-growing triggers. She and her students traced a tooth disorder found in one family and discovered it was related to a mutation on a master gene known as PAX9. That finding, she says, might lead them to new ways of manipulating and promoting tooth development. MacDougall, meanwhile, is cultivating a crop of nearly 30 sets of mouse teeth in her lab. She explains it’s easier to grow entire mice teeth in culture since she can extract the entire tooth bud from laboratory mice. By placing these buds in culture, MacDougall is able to examine the roles of various proteins in the tooth-growing process. So far at least 25 different genes have been found that prompt teeth to grow in humans. MacDougall says they have tested for thousands of genes, but estimates there could be as many as 20,000 that play a role in making teeth. 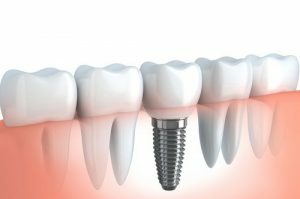 In the future, those “major player” genes could then be used to create tooth bud-like tissues that would then be placed in empty tooth sockets in the mouth to grow new teeth. MacDougall hopes to keep costs of the practice down so patients might be able to save millions of dollars in dental work. She’s also considered one relatively small worry. With the Affordable Care Act enrollment period now open, health insurance scammers are lighting up the phone lines. The open enrollment period for obtaining health insurance for 2019 through the Affordable Care Act started Nov. 1. But for health insurance scammers, the season’s been in full swing for a while. Nearly half a billion — that’s billion with “b” — health insurance scam robocalls were made in September, according to YouMail’s Robocall Index. In addition, there was a new monthly record for robocalls in October, with 5.1 billion received. Scams made up 42 percent of all robocalls. YouMail’s services include blocking robocalls as part of its automated virtual receptionist software. It’s been tracking robocalls via its index since 2015. Robocalls are proliferating at a near-exponential rate, so how are companies allowed to do this? “If you get a recorded sales call, but you didn’t give the caller written permission to call you, the call is illegal,” Bridget Small, a consumer education specialist at the Federal Trade Commission (FTC), wrote in a blog post about health insurance scams. The rules don’t seem to stop unscrupulous parties from sending hundreds of millions of robocalls daily. That’s because a combination of autodialers and ID spoofing technology — the latter of which masks the true origin of a phone number — makes tracing these calls and holding people responsible a tough job, the FTC says. Then there’s staffing levels. The FTC only has 43 employees in the division that supervises unwanted calls, The Washington Post reported earlier this year. Among these robocalls, health insurance scams are the most popular, which YouMail’s data show have been steadily increasing in volume. People are used to giving away a lot of information to obtain health insurance. This makes people looking for insurance a ripe target for scammers, Alex Quilici, CEO of YouMail, told Healthline. From that perspective, it makes sense that health insurance scam calls would increase right around the time people using Obamacare plans are trying to renew or obtain insurance. So far, enrollments in Obamacare plans are down about 16 percent this year compared to last year, according to the White House. Critics have pointed to cuts in funding for outreach as well as new rules as part of the problem. That leaves fertile ground for insurance scammers looking to capitalize. People in the United States are projected to lose almost $9 billion to phone scams in 2018, according to research from Truecaller and The Harris Poll. No one is immune from being targeted by scam calls, and a surprising number of people fall for them, the research shows. The study found that 1 in 10 Americans fell for scam calls in the previous year, with college grads twice as likely to fall for phone scams compared to those with no college education (14 percent vs. 7 percent). Counter to the idea that seniors are especially vulnerable to falling for phone scams, the bulk who fell for the scam — 66 percent — were between ages 18 and 44. With federal authorities tasked with overseeing unwanted calls overextended and underfunded, blocking unwanted calls has fallen to private parties. Smartphone apps, like YouMail’s and Nomorobo, among others, try to prevent robocalls by maintaining extensive lists of bad numbers and integrating user feedback and algorithmic identification to stop robocallers. But even the best apps can’t catch every single robocaller. So what do you do if you receive one? Healthcare marketplace workers don’t make cold calls, so unless you’re already on the exchange and have agreed to receive calls, anyone who tells you otherwise is pulling your chain. It’s not just Obamacare plans that scammers target, either. After the FTC announced that Medicare recipients would be receiving new cards with new numbers in the mail, scammers took the opportunity to cold-call Medicare beneficiaries to try to trick them into giving away valuable personal data, the commission reported. If you can, try to educate family members and friends that these calls are scams and they should call their insurance companies (or go to HealthCare.gov) directly. And get them to sign up for call-blocking apps. But the simplest solution might be the oldest: Screen your calls. Get gross. The following advice may seem extreme, but it works—tape a photo showing the ravages of periodontal disease (search for one online) in a prominent place in your bathroom. After your first month of daily flossing, replace it with an image of a healthy white smile as positive reinforcement. Try different flosses—one type isn’t more effective than another. The point is to find a floss that you’re comfortable with so that you’ll be more likely to use it regularly. In general, there are two types—multifilament (nylon) and single filament (plastic/rubber). Multifilament floss has been around for a long time and is cheaper. It comes unwaxed or waxed. Single filament uses newer technology—it doesn’t rip, tear or fray and glides very easily between the teeth even though it isn’t waxed. These products are available in a wide variety of flavors, including mint, cinnamon, cranberry and tea tree oil. Try a bunch! Floss while doing something else—while in the shower, watching TV or reading the newspaper. Master your technique. I recommend flossing after eating and when you brush. It really doesn’t matter if you floss before or after brushing, as long as you do a thorough job. To floss correctly: Bring the string down gently along the side of one tooth, then back up. 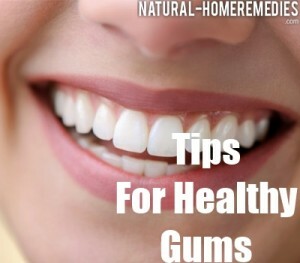 Do the same on the adjacent tooth, and work your way around the entire mouth. 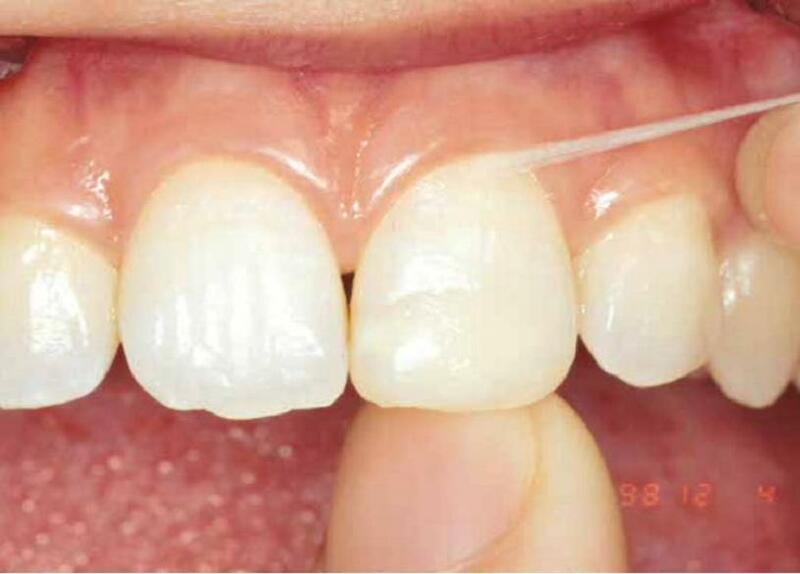 If you have restorative work, like crowns, pull the floss out sideways instead. Save With Discount Healthcare saves money on dental care for the entire household. Dental testimonial: Keep in mind if this member had dental insurance he would probably be maxed out at $1000 and have to pay full price out of pocket for everything he had done. He was able to have all the work done now and save on everything! Here goes: 4 wisdom teeth removed by an oral surgeon with IV anesthesia, 6 other teeth removed, cleaning, 3 fillings, dentures with fitting, molds had to be redone 3xs, 2 remakes and a one year guarantee to remake dentures if they become loose. Total cost $12,000, drum roll…..he paid $5100, 58% off. His daughter said he has never had dental coverage because it was always too expensive. Hearing is an important part of our everyday lives – keeping us informed, safe and connected. In today’s fast-paced and technology-enabled world, we rely on our hearing to operate at quicker speeds and for longer periods of time than ever before. At the same time, noisy environments and unhealthy lifestyle habits are placing people at greater risk for hearing loss. EPIC Hearing Healthcare (EPIC) recognizes that hearing loss can be very costly to individuals, businesses and society as a whole in the form of diminished job performance, isolation from relationships and an increase in overall health issues, such as anxiety and depression. While the majority of those with hearing loss are still in the workforce,1 people tend to associate this condition with “old age.” As a result, they often put off needed hearing loss evaluation and treatment. Many also make poor lifestyle and health choices that further increase their risk for hearing damage. EPIC founded the Listen Hear! public education initiative to change this paradigm and increase the urgency placed on education and treatment to promote healthy hearing. Through this program, EPIC undertook the largest employee and employer survey of its kind to uncover awareness and attitudes related to hearing loss at work. Conducted in December 2013, the online survey documented the attitudes and awareness of more than 1,500 employees and 500 employers on hearing loss and its financial, productivity and interpersonal consequences.2 This report summarizes findings from the survey and centralizes relevant, secondary research to make the case for greater employer focus on addressing the growing hearing health crisis. We offer a walk-in, walk-out 2-week FREE trial with hearing aids that are right for you – plus the Connect Advantage, your assurance Connect Hearing will be there every step of the way. Headquartered in the Chicago area, we are a fast growing division of Sonova (SOON:US), the world’s leading provider of innovative hearing healthcare solutions. An important component of the Deluxe Plus plan is Ancillary Services. Ancillary care includes those services that support the work of primary health care providers such as family doctors, nurse practitioners, physician assistants and specialists such as cardiologists, surgeons, dermatologists and so on. Ancillary care can be broken down into 3 categories. They are diagnostic, therapeutic, and custodial services. First, we have Diagnostic services – These are services that help a physician reach a diagnosis or guide him in the treatment of his patients. These are services that provide the physician insight to a patient’s problems that can’t be discovered simply by a physical examination. This includes imaging such as x-rays, mammograms, and MRIs. It also includes sleep diagnostics and laboratory tests. Every time you have blood drawn and sent to a lab or you provide a urine sample for urinalysis, ancillary services are being used. There is much more that could be included under diagnostic services, but these are some of the most common. The second category that falls under ancillary services is Therapeutic – After a patient has been diagnosed there may be a need for therapeutic services. Therapeutic refers to those services that may help regulate or improve the health of patients over time. Physical Therapy is a common example of this. But there is so much more. Dieticians, acupuncturists, mental health counselors, speech therapists, massage therapists. These are all included under Therapeutic ancillary care. And it includes other needs such as durable medical equipment, prosthetics, and orthopedic shoes. And the list goes on. The final category is Custodial Services – This is personal care for those who need assistance with the activities of daily living. This includes everything from skilled nursing facilities like retirement homes to in home care. A good example of one of the companies that AmeriPlan has contracted that offers custodial services is BrightStar Care. BrightStar Care is available in many locations now and is growing. They offer companionship and sitter services, transportation services, meal preparation, in-home blood draws and injections and a great deal more. This is a brief overview of the types of Ancillary Services that may be available to you. Not all services are available in all areas. So once again I would like to invite you to send us contact information for any providers in your area that you would like to see listed in the AmeriPlan network. Referrals should be sent by email to referral@ameriplanusa.com. If you have questions about Ancillary Services or any other aspects of AmeriPlan products please let us know by sending email to customersupport@ameriplanusa.com. 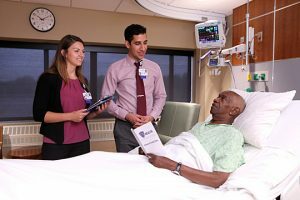 We receive questions every day about the Hospital Advocacy Program and we know that being able to offer this program to a prospective member can be a huge selling point for you. We want to make it easier for you to sell, so our goal here is to make the basics clear. No case can be started until a member has been active for at least 3 full business days and the member must remain active throughout the entire advocacy process. Hospital advocacy can be used when a member has already or will be experiencing a hospital or surgical center event. And yes, an ER visit is a hospital event and an ambulance ride can be included. Every advocacy case starts with a call to AmeriPlan. Although the Hospital Advocacy Program is administered by The Karis Group the case cannot be started without first calling AmeriPlan. AmeriPlan facilitates the Karis group. We cannot begin an advocacy case by email or by chat. A phone call from the patient or their guardian is required. It’s important to know what the definition of a case is. A case is a single incident with expenses totaling at least $1500 that you must pay out of your own pocket. The minimum out of pocket expense of $1500 must result from bills from the hospital or surgical center. This may include the cost of the anesthesiologist, x-rays, lab work and more. The cost of visits to the doctor’s office is NOT included in the $1500 minimum. However, those doctor bills can be submitted along with the hospital bills for negotiation. We cannot begin a case based on doctor bills. Medical bills should never be sent to AmeriPlan. If a current or prospective member has hospital bills that were incurred prior to becoming a member we can still help. The only difference for these cases is that a $250 non-refundable fee must be paid prior to beginning the negotiations. We often get asked about is if we can negotiate insurance deductibles. The short answer is NO. But there is more to the answer. Here is an example of how it works. If the hospital bill is $5000 and your deductible is $5000 we will still negotiate the bill. If the result of the negotiation leaves you with $2000 to pay the hospital, that $2000 will go towards your deductible. Your deductible was not reduced. So, if you have another hospital incident you will still have a $3000 remaining deductible that has not yet been met. We cannot advocate for mental health services. And, we cannot advocate for kidney dialysis. This is because they are typically ongoing situations that have no definite end to treatment. There may be other situations that fall into this category. We welcome your questions. Please send your questions to us by email at customersupport@ameriplanusa.com and we will try to answer as many as we can. We only have to brush twice daily to reduce the risk of decay. Brushing more frequently does not help any more. We are not trying to remove all dental plaque or kill all dental bacteria. We are simply disrupting its growth and maturation. If our toothpaste does not have fluoride in it, it is not proven by the preponderance of evidence to be beneficial in lowering our risk of decay. Fluoridated toothpaste is proven. Over and over. We only need to brush for two minutes. That’s it. ‘The harder you brush, the cleaner your teeth become!’ …. False! This is a common misconception. Teeth are living biological tissue. And unlike any soft tissue in the body, teeth cannot regrow/repair themselves once they wear out. Below is an image. These wear facets near the gum line in turn increase sensitivity. AmeriPlan Keeps On Growing Adding New Providers To Its Network! In the month of April, AmeriPlan added 63 new provider locations to the AmeriPlan network. These offices are scattered through 19 states and consist of dental, chiropractic and ancillary care service providers. And, many of these offices have multiple healthcare professionals practicing at the location! Adding new providers to our network provides better services and convenience to our members. If you would like a certain provider possibly added to the AmeriPlan network, contact us with the providers info; type of service, contact name, office number and city & state.